From June 7 – 17, Houston Ballet will revive its stunning staging of Romeo and Juliet choreographed by Ben Stevenson to celebrate the 25th anniversary of the opening of Wortham Theater Center. In September 1987, Houston Ballet inaugurated its spectacular new home at Wortham Theater Center by unveiling a lavish new production of Romeo and Juliet, featuring designs by Englishman David Walker and showcasing two of the company’s most spectacular stars: prima ballerina Janie Parker and Li Cunxin, whose memoir Mao’s Last Dancer was an international best seller in 2004 and later made into a movie in 2009. We spoke recently with Janie Parker about her memories of getting to finally dance her dream role of Juliet; her three sensational Romeos; and what a transformative moment it was for Houston Ballet to step center stage at Wortham Theater Center in 1987. The role of Juliet in Ben Stevenson’s production of Romeo and Juliet held a special place in your career. Could you tell us briefly about its significance? As a student, I watched Franco Zeffirelli’s movie of Romeo and Juliet and absolutely fell in love with the Shakespeare masterpiece. During the summers, when I was attending the School of American Ballet in New York, I would buy tickets to see Stuttgart Ballet perform. Their production of Romeo and Juliet with Marcia Haydee, Richard Cragun, and Egon Madsen left me feeling as though my feet were not touching the ground when I left the theater. These were the seeds that caused me to look at the role of Juliet as THE dream role in all of ballet. Once I began working for Ben Stevenson, and I realized his enormous talent for creating narrative works (especially romantic works), there was nothing I wanted more than to see him choreograph his own Romeo and Juliet. Initially, whenever I mentioned to Ben how much I wished he would do his own production of the ballet, he would point out how many choreographies already existed. He would ask what he could possibly add that hadn’t already been done. But as any dancer who has had the honor of dancing in one of Ben’s romantic ballets will say, there would be no other story more suited to his talents. His passion and sense of drama infuse even abstract ballets! Then, lo and behold, the unimaginable came about! Not only did Ben finally decide to do his own Romeo and Juliet, but he cast me in the role of Juliet with Li Cunxin as my Romeo! At that point, I knew I had died and gone to heaven. Describe the process of working with Ben Stevenson to create the role of Juliet. There is no ballet, no role that I have danced, that is more comfortable than dancing Juliet in Ben’s Romeo and Juliet. From start to finish, it’s like wearing the coziest robe and most comfortable slippers, sitting on a veranda watching the most glorious sunrise unfold. The rehearsal process could not have been easier. The very best of the best were my cast mates, including assistant directors Carmen Mathe and Hiller Huhn as Lord and Lady Capulet, all perfectly directed by Ben. Each person in the ballet seemed to be tailor made for his/her role. That is the genius of Ben in knowing his company. Dancing Juliet offered the greatest emotional range of anything I danced. There was the youthful playfulness of Juliet and her Nurse. Juliet’s naive acquiescence in the initial scenes with her arranged betrothal to Paris, the innocent awe and rapture in Juliet’s romance with Romeo, Juliet’s rebellious fit with her parents, the turmoil and passion Juliet and Romeo share upon his exile, Juliet’s forlorn determination in taking the Friar’s potion, and the extreme anguish of Juliet finding her true love dead. In portraying this palette of emotional turns through dance, I felt that I had gone through the best dramatic training one could receive from a master who knew every corner of the heart. Ben knew when to “turn up the volume” and when to “bring it down to a whisper” for maximum emotional impact. The skill that his coaching demonstrates is evident in the fact that, in a story where some would use melodrama, Ben uses the most sparing touch. Nothing could have been more satisfying. Everything was dramatically easier after having danced the role of Juliet. 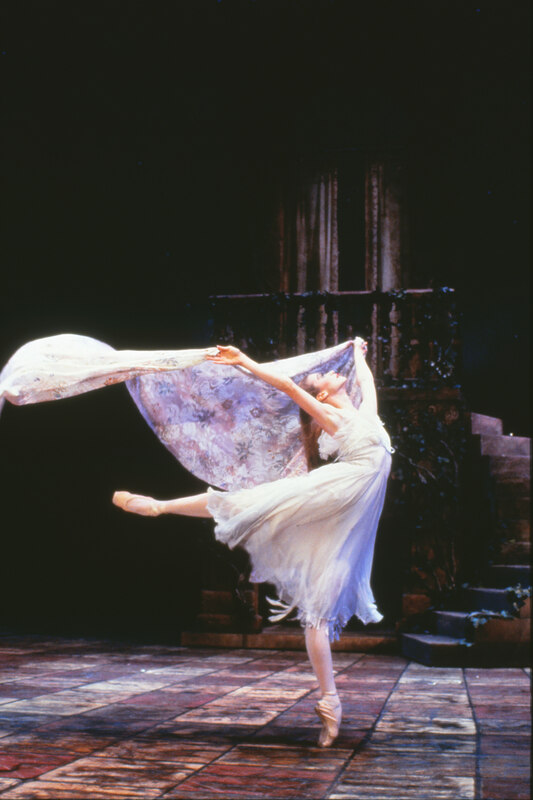 What are your strongest memories of performing as Juliet when the work premiered during the opening season of Wortham Theater Center in September 1987? One of the great things about dancing Romeo and Juliet in the Wortham is the fact that there are stage level dressing rooms fairly close to the stage. I had my hair long during much of the ballet, and I kept a set of hot curlers on during the whole evening. Every time I could slip away and refresh my limp locks with the hot curlers, I would. And there are several costume changes. So having a close dressing room means not having to waste precious energy running back and forth. There was only one costume change that I did in the wings: the costume change into the ballroom costume for the crypt scene at the end of the ballet. I also liked the breadth of the stage in the Wortham. Li used the size of the stage to great advantage in his sweeping solos and in partnering me during our pas de deux. And the size of the wings is good so that the dancers can make their way easily through all the scenery that is not onstage. One of the good things about going back and looking at the archival videos is what you get to see that you missed while dancing. When I got a chance to see Li in the crypt scene (when he was toting me around in the deathlike state) I was astounded by the amount of emotion I saw in his face and in his body. I was always cognizant of Li’s great athletic prowess, but there was nothing but pure, raw emotion in those moments of acting. It was an after-the-fact pride in him as my Romeo that I had missed while my eyes were closed playing dead. The advantages of technology! What other special memories do you have of dancing Juliet? The first time I danced Juliet was with Li Cunxin for the world premiere at the opening of the Wortham. The last time I danced with him was in Romeo and Juliet during our tour to China in 1995. It was a sort of farewell for us, since Li was moving on to Australia, and it was very much a bittersweet moment. When I sat next to the Minister of Culture at a dinner reception after the opening performance, he told me that the performance was televised to 500 Chinese people. So that was very exciting, but at the same time, it represented the closing of a very special chapter in my life. 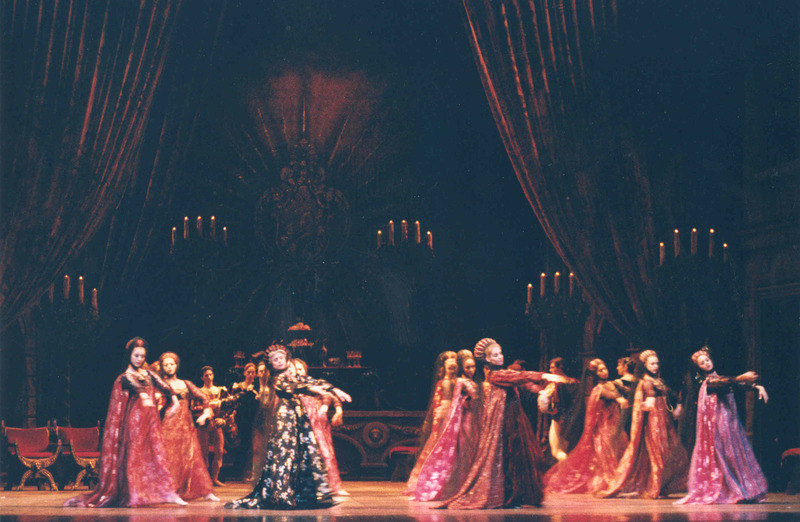 At the end of my career, after Li, I had two marvelous partners with whom I had the pleasure of dancing Romeo and Juliet. The first, Phillip Broomhead, was like the male version of me. He was fair, romantic, and very flexible! He even had as much hyperextension in his knees as I had, mine being fairly extreme. He was so helpful during my last years of my career, acting as partner, counselor and friend. He was fun to dance with and kept me laughing, besides offering a very tender side of himself as Romeo. The second was Carlos Acosta. Carlos was an extremely passionate Romeo and a natural partner, picking up Ben’s style of “body partnering” (as I call it) very quickly and easily. Dancing with him was delicious! 1987 was a milestone year for Houston Ballet, with the opening of Wortham Theater Center. What was the psychological impact on the dancers of Houston Ballet moving into a state-of-the-art new home? Did it raise the level of performance of the company? Having the Wortham as our home theater gave us a place to settle in and go about the business of delivering the best performances we could produce. It was truly a home away from home. Performing is what all the training and rehearsing is for, so having to squeeze into other venues around other performing arts events limited our main reason for being! Hello! As a student (and former PR intern) I used to take Pilates with Janie all the time, and she usually had the Romeo & Juliet score on in her studio. Loved all of the stories she used to share about dancing with Li and all of the amazing dancers! Thanks for sharing! 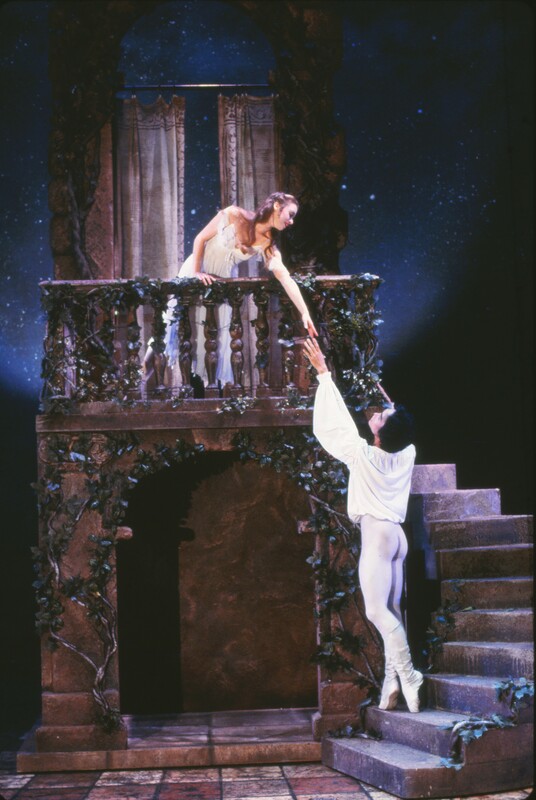 I was fortunate enough to witness the performance of Romeo & Juliet in 1987 and can say there was not a dry eye in the place at the end, not just from the sad ending of the ballet, but from the beauty of the performance. Janie and Li were perfection itself!